Heightened cases of police misconduct in the U.S. have led more members of the public to consider the use of body cameras as a means of protection against police brutality. Body cameras disrupt law enforcement by making the officers more aware of their actions when engaging with civilians. One argument is that such technology can serve to decrease the numerous complaints against officials for proof of conduct recorded on film. Devices worn by police officers serve the purpose of reducing the use of force initiated by an officer and to address claims made by members of the public. The technology has been presented to some of the most notorious police departments in America to assist in the facilitation of secure solutions for the protection of the officers and the public at large. 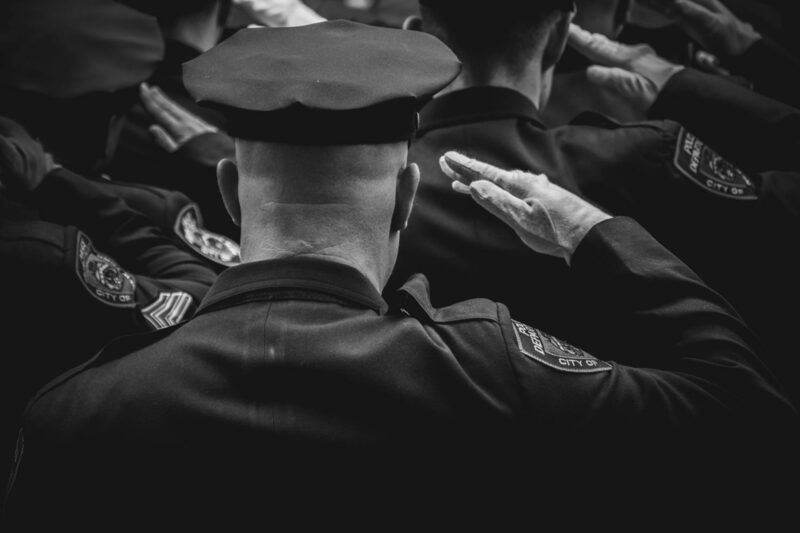 The following takes a look at the uses of body cameras for police officers from transparency, safety and cost effectiveness in litigation to the provision of proof in arrests and prosecution. Increased tensions in America have jumpstarted ongoing disputes and disorder between policing and the general public. More officers are being accused of unfair practices, abuse of power such as illegal use of force upon arrest, crowd dispersion and investigative matters. Cases range from officers beating their victims to irresponsible use of gunfire, brute force and unfortunate killings. The introduction of a body camera aims to disrupt the regular practices of law enforcement by incorporating the use of technology. These inconspicuous cameras are worn by the police officer and continuous record footage while on duty. The purpose of such cameras is to capture the scene of a crime and the measures taken by an officer to restore order to situations within their legal capacity. Such features have the potential to improve policing services when implemented correctly. Utilizing the proper technology and following the necessary procedure aims to decrease the major disconnect that has become apparent between the public and the people meant to protect their rights. The role of the body camera is to improve transparency and the overall legitimacy in police departments. Recordings serve to capture the verbal instruction initiated by officials when approaching a suspect or when attempting to manage public complaints, call-outs and investigations. The intention of these cameras is to provide the public and state investigators complete transparency of how a situation unfolded and led to its outcome. Incorporating body cameras into police departments is a practical, economical strategy. The amount of money required to investigate a case of officer misconduct and claims from prosecuting parties can quickly become exorbitant. Cases may continue for months and sometimes years, as witnesses are called and testimonies assessed. The costs for litigation of officer misconduct are better managed with technology. The inclusion of a body camera can film the matter providing investigators, the courts and families with a clear depiction of activities, statements and other crucial details. It reduces long cases and state costs but also minimizes officer misconduct leading to these management costs. When officers and citizens acknowledge they are being filmed, there’s a raised level of awareness by both the officers and citizens. A body camera like the DV-X1 films the activity as the officer would see it unfold. The goal is to supervise the officer’s behavior and heighten awareness into their steps being recorded for future evidence where necessary. Knowing your behavior is being recorded aims to decrease the possibility of straying from legal requirements and improve officer conduct. Citizens who are aware they are being filmed tend to act more responsibly. Recognizing that you are caught on camera can significantly change the dynamic of how a situation can unfold. Citizens are aware of the fact that an officer is filming their behaviors and responses to protect against false claims, court proceedings and state costs. Recording citizen behavior is more to minimize further criminal activity and serve as an impartial third party. When footage obtained from body camera technology is available, it may be presented in a court of law to serve as evidence for arrests and further prosecution. For both the officer and the citizen, such footage can provide the certainty and security needed to pursue justice. Should a police officer be implicated in unfair practice or charges of brute force, the film may assist in supporting witness testimony. Successful prosecutions against a law enforcement official are difficult. Citizens may request the presentation of body camera recordings to advance their matter. When citizens are facing a criminal charge and dispute the claims of an officer, such film assists in corroborating the actions and requests from the officer. It serves as an efficient means of pursuing criminal matters. Police officers in training can benefit from the footage presented to review the tactics, communication and effectiveness of officer conduct. Body cameras can also educate future officers on the collection of evidence. Footage creates discussion, initiates critical thinking and aims to assist the recruits in finding relevant clues and reviewing past behavior for improvements. Command officers have the opportunity to investigate the footage and assess any concerning behavior of select officers for further investigation, if necessary. This practice has been successfully incorporated within many police departments. Reviewing processes and protocols helps officers viewing the film to determine where departments need to revise training programs. The inclusion of body cameras for police departments serve as a visual aid to improve officer training and effectiveness. Body cameras are continuing to disrupt the manner in which law enforcement in the U.S. is conducted. It aims to improve officer behavior, citizen awareness of arrests, evidence collection, and decrease overall complaints filed against police officers and departments. Body camera technology is the disruptive force sweeping police departments across America.